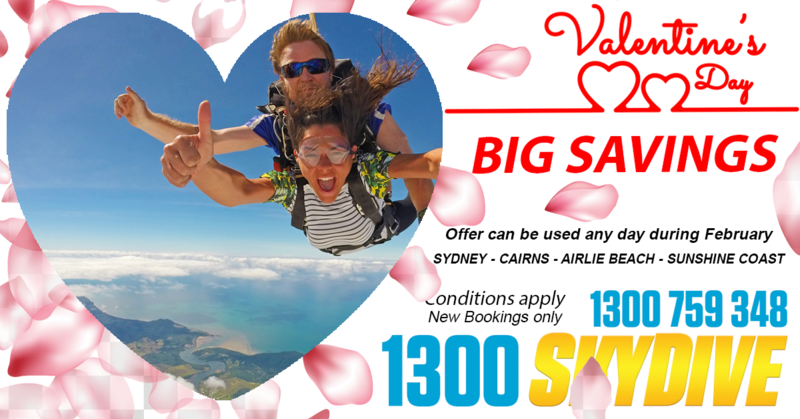 Tandem Skydive - Valentines Special. Tandem Skydive any day during the month of February for the great price of $239 nothing extra to pay up to 14,000ft skydive. Closest skydive to Sydney. If you need free shuttle transfers from the Sydney CBD please choose our free transfers product.